I knew as I was wrapping up the left side front of the T-Shell cardi that something wasn’t right about the cast-off neckline. It was much too pointy. I zoomed in on a previous picture so you can see what I mean. That little tail at the corner of the center neckline. 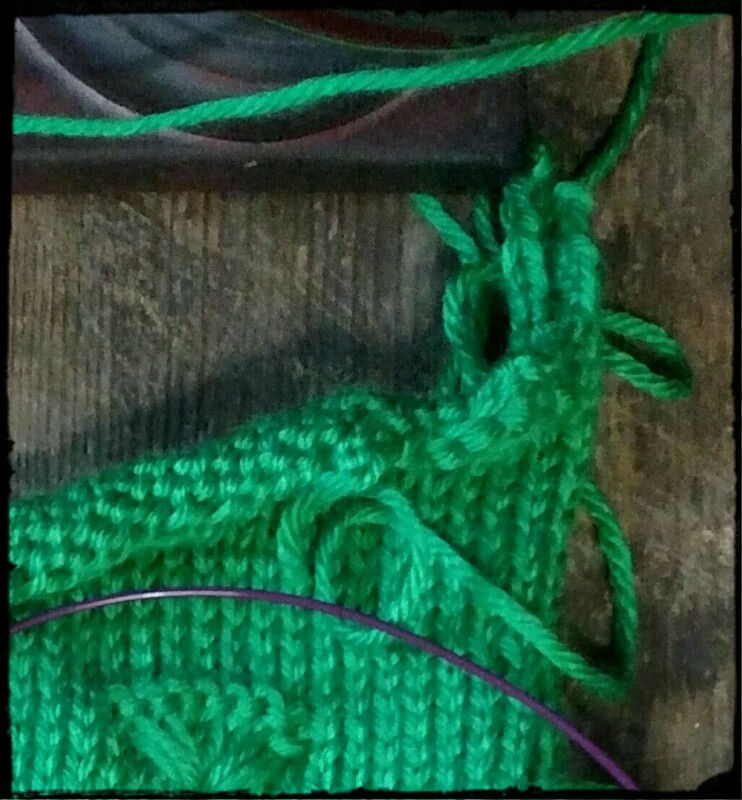 A few weeks later when I was finally back to knitting in full force I whipped out the second side much easier than anticipated, matching increases and pattern reps more closely than I feared I would be able to, and realized where I had misread the instructions. I’ve mentioned before that this is not the easiest pattern to read, with a lot left to interpretation. So, as I anticipated and without much trouble I went back to the first side and frogged down to where I erred and fixed it in no time flat. And now it looks much more like a front neckline should! This is the same neckline (with finished center edge) but a much cleaner downward corner. Much better! I may have the whole sweater finished (minus buttons probably) by the end of the week. As you can see in the picture above I have seamed together the center edge to the left, button, side. On the right side I am seaming up as I go so that I can easier see where to place the button holes along the way. 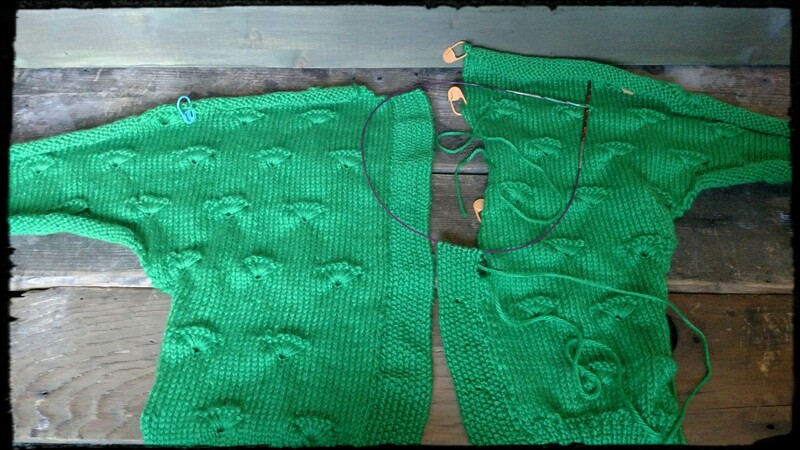 Side seaming, the collar and cuffs will be all that is left to do after that. It’s looking more and more like a sweater. And perhaps, if I can hope, a sweater that will actually fit! You may recall my mentioning a lack of finished measurements. We’ll know soon enough. I do have a couple of quick projects to whip out before Mother’s Day, but if the finishing edges and seaming go smoothly on the T-Shell I should be able to complete it before starting on those. Do you have any projects planned for Mom’s in your life? I’d love for you to share!